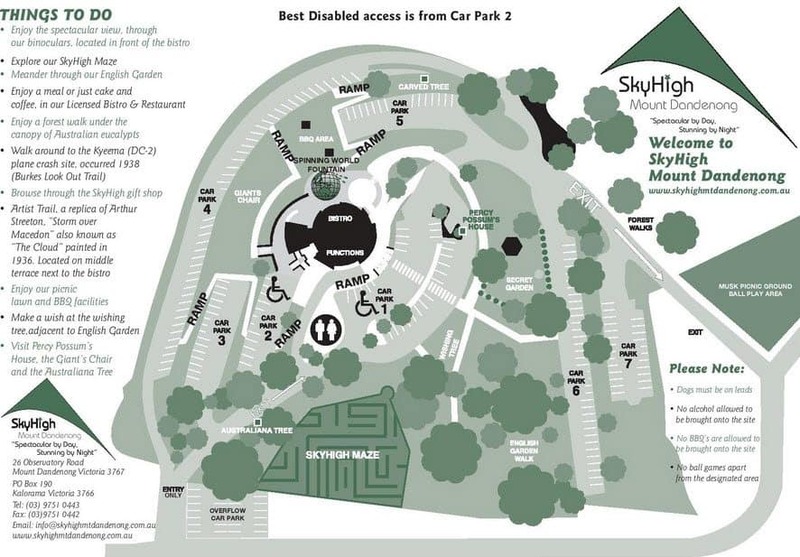 Whilst visiting the wonderful Dandenong Ranges, you should make sure to set aside some time to visit Sky High, a delightful restaurant located on Mount Dandenong. The Sky High Restaurant and lookout is located less than an hour from the Melbourne CBD; nestled amidst the hilly landscape and the cool fern glades of Mount Dandenong. This beautiful venue contains numerous lush trees and is truly a gorgeous and serene location. After sunset, you will able to see the brilliantly coloured sky and a clear picture of the towering mountains of Mount Dandenong. At night, the scenic views from the lookout are even better, as you will see a spectacular view of the sparkling city lights. After recent redevelopment and renovations, Sky High includes a number of amenities in and around the area. Visitors to the restaurant can enjoy a a quiet dinner or visitors to the summit can grab a quick coffee or snack at the nearby cafe. On the mountain, there are several walking tracks and hiking paths. 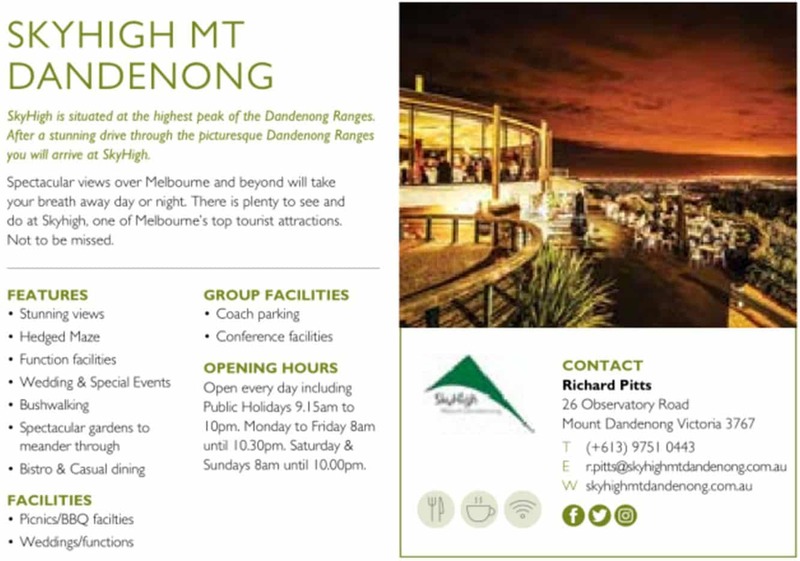 So check out a map and familiarise yourself with the lookouts on Mount Dandenong when you visit Sky High. Your upcoming events list only goes until April 12. I have Japanese guests staying with me from 28 April until 3 May. Could you please tell me what is on in the area during this time. Perhaps you were just referring to the snapshot of events on the right hand side of our page. But, if you open up our Events category, you will find an events list which throughout the year. Hopefully you can find something to enjoy during your stay in the Dandenong Ranges!